Here are several step-by-step tutorials I put together to hopefully help with learning the program. Here are several AutoChart manuals which were published by Humminbird. Instructions on how to install the AutoChart PC Software. This is sort of a quick-start guide. Helpful to go through the tutorial steps to get started. This is the primary manual for AutoChart. It goes more in depth into functions and features of the program. This is a manual that contains information about changes you can make on your ZeroLines custom map, on AutoChart compatible Humminbird units. 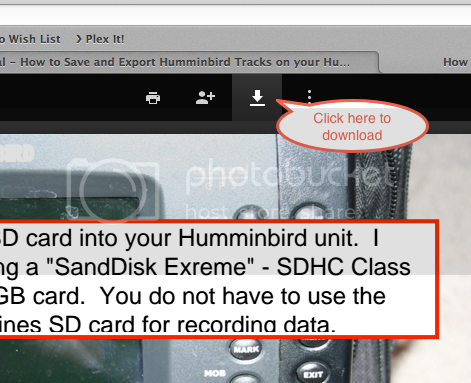 This is a manual for those of you with a Humminbird ONIX or Ion, and contains information on the additional features of those units. Just a fair warning, do not delete the LkMaster, AC, or SI folders on the ZeroLines SD Card. You can download/print any of these help guides by clicking the Download icon at the top of the linked website. I finally went through all of these tutorials. Excellent job! Thank you. Thank you for this information. Your work is greatly appreciated! Your presentation is a gift from God! You made it so easy for an old dog to learn these new tricks!! The tutorial "How to Delete Your Map to Start Over" was very helpful for me. What Manuals Comes With New 1198 Units ?